Valentine’s Day can be full of surprises. Folk-rock band Dawes sent a valentine to its fans in the form of a new live album, “We’re All Gonna Live,” on Tuesday, Feb. 14. Recorded in January in California during the first four shows of the band’s current tour, “An Evening With Dawes,” the album was mixed, mastered and released in 15 days. “With this tour, we’ve felt like we’ve begun to turn a corner as a live band so we figured it was time to share some of it with everyone,” said the song’s lead singer and guitarist Taylor Goldsmith in a release. “It’s not the full-length experience but we’re hoping that it’s enough of a taste for people to take a little bit of the show experience back into their homes with them and hopefully inspire them enough to come check out the show once we get into town,” he said. You can leave a voicemail for the band members while they are on tour by calling the number on the album cover, (323) 657–3445 and also the band is sharing its setlist for each show by fans that register on its website. Also on Tuesday, Dawes released a video for “Roll With The Punches,” featuring Goldsmith’s girlfriend Mandy Moore. 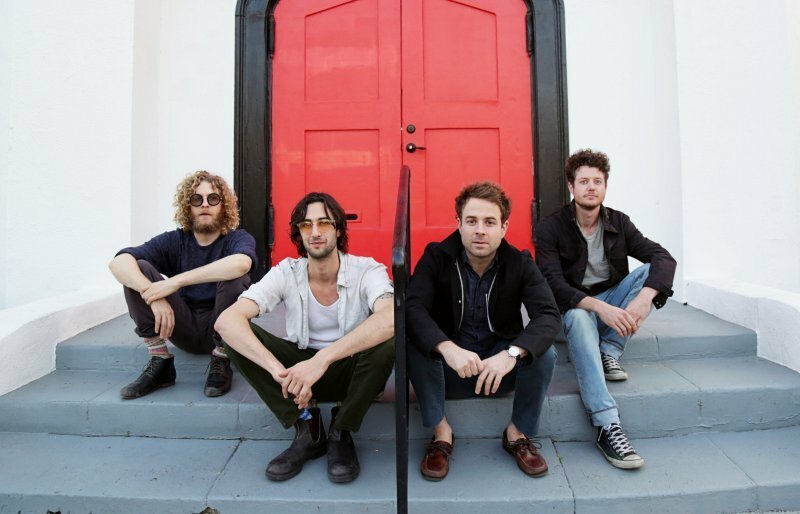 See Dawes Tuesday, March 7 at The Grand Opera House in Wilmington, Delaware and Wednesday, March 16 at the State Theater in Ithaca, New York. The band’s shows are sold out on Wednesday, March 8 at Lincoln Theatre in Washington D.C. and Friday, March 10 at the Beacon Theatre in New York City. Get “We’re All Gonna Live” from YouTube, Apple Music, Google Play, Spotify and Tidal.